As Thanksgiving approaches we are all doing our last minute scramble to plan the perfect meal. We have decided to use a different approach this year as we decide what to feed all the loved ones who have gathered around. 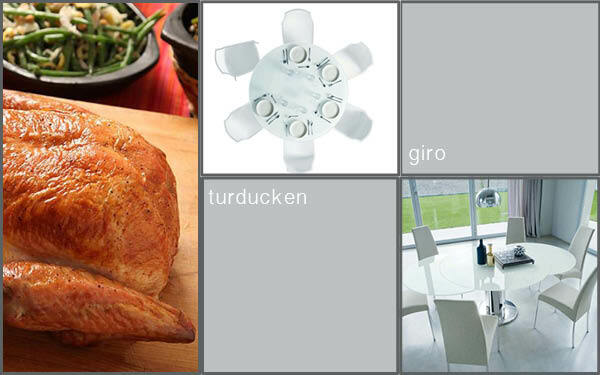 We are using four of our favorite dining tables to inspire the perfect Thanksgiving menu. The Giro Extension dining table. The Giro table is amazing in it’s innovation. The round, pedestal table appears to be a stationery table that seats five. With a simple twist of the top you can stun your guest and reveal the two hidden leaves that reside under the top. There is more than meets the eye with this table, just like our suggestion for the star of your Thanksgiving, a Turducken. Amaze your guest with a poultry stuffed poultry stuffed poultry goodness. The Food Lab has done all the work to figure out the best way to make this meal as awesome as it sounds. The Etico table is great for those with anyone who rsvp’s at the last minute. It can seat anywhere from 2 to 10 comfortably. It’s many extension leaves help it quadruple in size! For this gathering you need a recipe that can easily, and at the last minute quadruple in size. Why not cook everyone’s favorite vegetable, brussel sprouts! When your cousins call the morning of saying they are on their way (wait who invited them?) you can throw some more of these adorable heads in the roasting pan and relax. Need another side? No Thanksgiving meal would be complete without a stuffing/dressing. 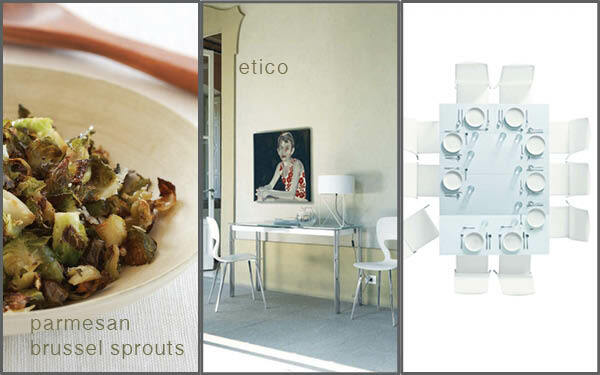 Our Soho dining table inspired us to use a simple, tasteful and sophisticated recipe for an Herbed Oyster Dressing. Just like the Soho whispers it’s beauty to you, the dressing is the perfect compliment to the main attraction of the meal. 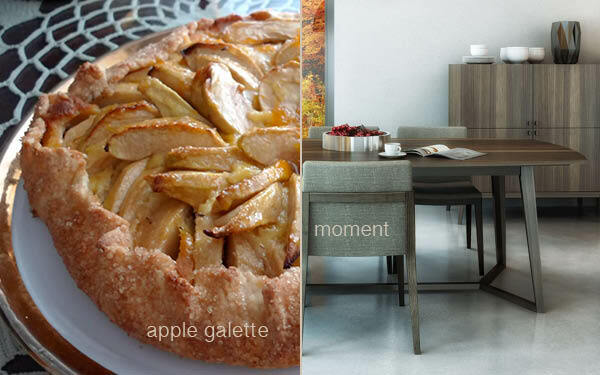 For dessert get inspired with the Moment dining table. The grains of the walnut pair with the clean simple lines and provide an organic modern piece that quietly compliments any decor. Nothing else could match this beauty but a free form galette. Keeping with fall we are serving an apple marscapone galette that will leave the diners with a satisfied smile.